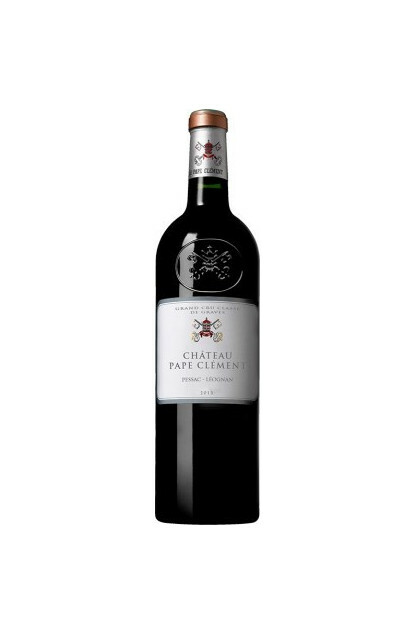 In the end of the 13th century, Bertrand de Goth received from is brother Bréaud de Goth, as a gift for being appointed archbishop of Bordeaux, a property located in Pessac composed of land, forest, but mainly vines. Bertrand de Goth was appointed as a pope in 1305 and took the name of Clement V, thus called the estate “Pape Clément”. This estate can take pride in producing wines for more than 7 centuries. The vineyard spreads on a soil that is 60% gravel laying on a chalky base, and 40% a fine gravelly clay layer on chalk. The vineyard has a total surface area of 36 hectares, with an average age of 40 years for reds and 18 years for whites. Production amounts to 130 barrels per year for red and 11 barrels for white, which is 155.000 bottles for red and 13.000 bottles for white, and an average yield of 3.500 litres. Red grape varieties : Cabernet Sauvignon 58%, Merlot Noir 40 % and Petit Verdot 2 %. White grape varieties: Sémillon 45%, Sauvignon 45% et Muscadelle 10%. The whole harvest is done by hand and the wine is entirely matured in barrels of which 70 to 100% are new French oak barrels, for 12 months for white wine and 18 months for red wine before being bottled.